Description: Helen Leneman and Barry Dov Walfish, both specialists in biblical reception history, have compiled an unusually rich collection of new essays by experts in their fields. 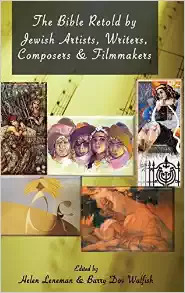 This book is a pioneering attempt to portray and analyse the visions of twentieth- and twenty-first century Jewish artists working in different media�visual art, literature (novels, poetry and short stories), music (opera, oratorio and song), and film�who have retold biblical narratives through their art. Reading these essays together will bring a new appreciation and understanding of what makes the perspective of these visual artists, writers, composers and filmmakers on the Hebrew Bible uniquely Jewish. All of these Jewish visions can be considered a form of modern midrash, as the artists imaginatively fill in gaps in the biblical narrative, bringing a modern sensibility to the meanings of the stories. Under the heading �Biblical Women�, the stories of the matriarchs, Hagar, and other biblical women are re-imagined in the visual arts, poetry and music. Several further chapters focus on the story of the Aqedah (Binding of Isaac), as represented in the visual arts, literature and music. Other retellings of biblical narratives through short stories are then examined, while yet other chapters explore the books of Esther and Psalms as envisioned and retold in the visual arts, opera, literature and film These retellings, analysed and discussed by the authors of this ground-breaking volume, will stimulate the reader to view the texts in new ways or to confront their challenge to personal or traditional interpretations of those texts. Citation: James F. McGrath, review of Helen Leneman and Barry Dov Walfish, eds., The Bible Retold by Jewish Artists, Writers, Composers and Filmmakers, Review of Biblical Literature [http://www.bookreviews.org] (2017).